I know some of you are going to see 5 stars and just pass this buy as some guy who is paid to do a good review, maybe someone who has never taken a class, or some other wack job. I get it. If you want an honest review from someone who has been in the industry for 20+ years, read on. I have been taking technology certification classes every year since the late 1990’s. Why, because if you are not growing, you are dying. There is no magical pixy dust that makes a person smart in IT over night, no college education that will give you instant CIO/CTO status, no industry certification that will get you 100k+ per year. What it takes is hard work, lots of practice, and break/fixing everything you possibly can and still remain employed. I have attended classes with noobs and youngsters with the idea that once I get this or that paper, I am suddenly worth something and people better pay me. Then, when the poo hits the fan, the grab their magical certification paper and try to summons the power of certification to somehow fix whatever is wrong. The truth of the matter is that no certification from any company is going to do that. What certifications provide is an initial step to get your foot in the door that says, “I know something.” Nothing more. From there, it is up to them to prove their worth. What I found in CED is a commitment to excellence to give every student, whether a noob or a seasoned veteran in the industry, a chance to learn new skills and enhance the skills they already have. CED has many long term instructors which in of itself tells you the character of the the staff. With every other training institution, many of the instructors are fly-by-night contractors. While they may be good, they really don’t have to be. They will get their paycheck and move on. With CED, the instructors have to prove their worth every single class. They adapt to different personalities and learning styles with each class. 1. Each person’s willingness to do what it takes to succeed. 2. Each person’s ability to succeed. I have been in classes where there were plenty of people who are able to succeed but simply do not want to put in the time or effort to do it. It is like they are waiting for the silver spoon to just come and feed them so they have to do little to no work. These are the folks that really get my blood boiling. On the other hand, I have been in classes where someone is doing everything they can possibly do to succeed, however, they just don’t have the IT ability. It just isn’t in them. Kinda like turkeys that want to be eagles. They can want it all day long, but turkeys are still turkeys at the end of the day, and not eagles. These are the folks for whom I feel bad. At the end of the day, you are not going to find a better group of people who are committed to your IT success than the instructors at CED. Your health, safety, and personal success are their highest interest. Their success is based on your success. 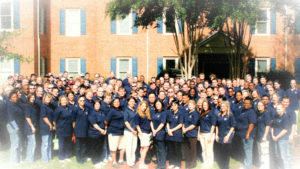 How many other training companies can you say have been open for more than 20 years. 1. Do I have it in me to do what it takes; am I willing to work as hard as I can to achieve my goals? 2. Do I have the ability in me to be in IT, and if so, at what level? What do I want to do? Be honest with yourself. Some people like to be helpdesk and that is great. Some want to be a CIO/CTO and that is good to, but be honest with yourself and your abilities. 3. What training do I need to get to where I want to be? Sometimes certifications are the best thing, sometimes they are not. Look at what is needed for the jobs you want. 4. Who, which training partner has the best track record for training people in the areas you want to work? Which company won’t just take your money and say “By Felicia! Good Luck!” but really value you and your success? Having said all of this, I have been attending classes with CED every year since 2003. Since then I have changed a number of jobs, going from helpdesk to where I am now as an IT Executive. I consider CED, along with my willingness and ability, a key partner in my IT career. CED Solutions is a Cisco Learning Partner, Microsoft Gold Learning Partner and the #1 location for Microsoft Certifications in North America over a 6-year period. CED Solutions is a CompTIA Partner, EC Council Partner, and many others and is one of the largest providers of training in North America. The Atlanta facility provides IT training for up to 200 students per day, with separate buildings dedicated to training. 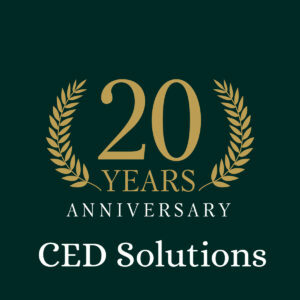 CED Solutions provides training thousands of students per year and students take hundreds of certification exams every two weeks. CED Solutions provides training and certification for MCSA: SQL 2016 Database Admin; MCSA: SQL 2016 Business Intelligence; MCSA: SQL 2016 Database Developer; MCSE: SharePoint 2016; Cisco CCNA; Cisco CCNP; Cisco ROUTE, SWITCH, TSHOOT, Cisco CCNA Security; Cisco CCNP Security; Cisco CCNA: Collaboration; Cisco CCNP: Collaboration; Microsoft MCSA: Windows 2016 Server; MCSA: Windows 2016 Server; MCSE: Core Infrastructure, MCA, MCE, A+, Network+, Security+, CySA+, CASP+, Linux+, Project+, PMP, CISM, CEH, CHFI, ECSA, CND, CISSP, and many more.